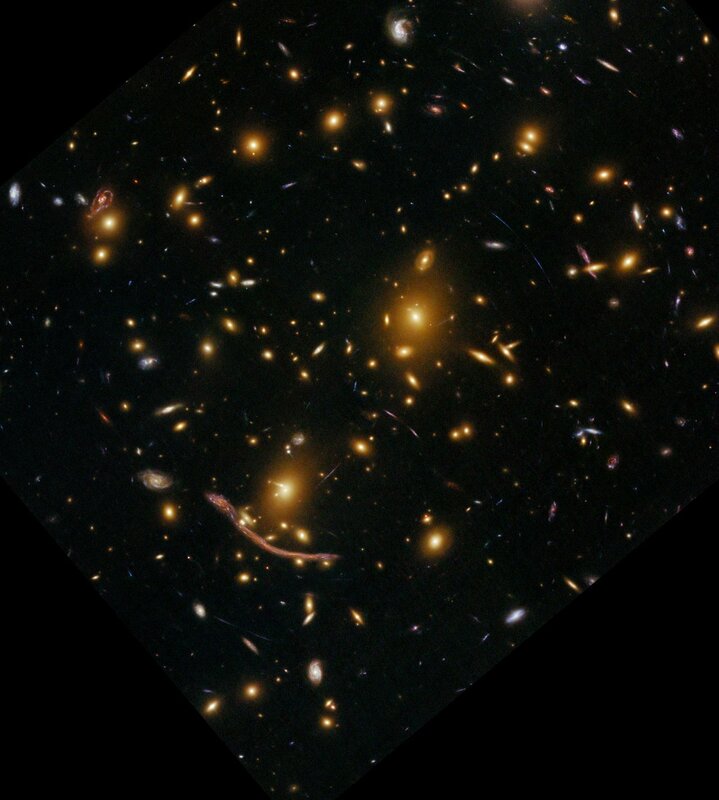 The NASA/ESA Hubble Telescope has peered across six billion light years of space to resolve extremely faint features of the galaxy cluster Abell 370 that have not been seen before. 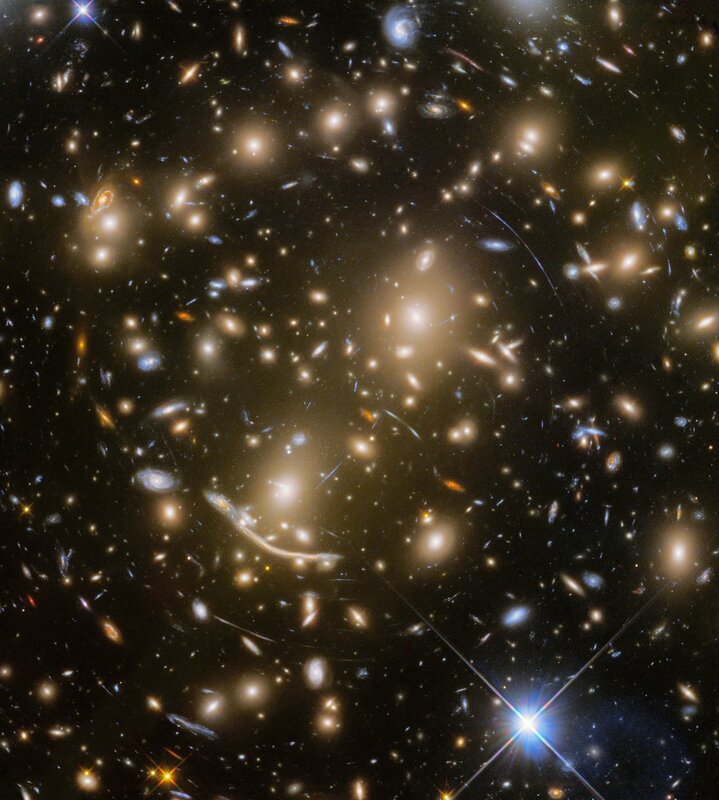 Imaged here in stunning detail, Abell 370 is part of the Frontier Fields programme which uses massive galaxy clusters to study the mysteries of dark matter and the very early Universe. 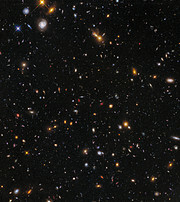 Six billion light-years away in the constellation Cetus (the Sea Monster), Abell 370 is made up of hundreds of galaxies . 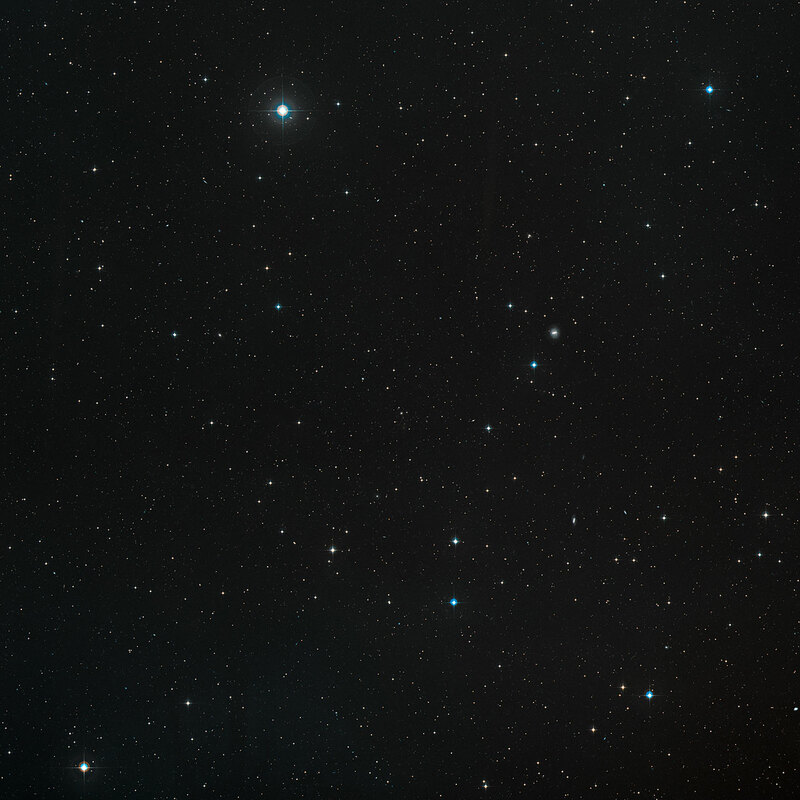 Already in the mid-1980s higher-resolution images of the cluster showed that the giant luminous arc in the lower left of the image was not a curious structure within the cluster, but rather an astrophysical phenomenon: the gravitationally lensed image of a galaxy twice as far away as the cluster itself. Hubble helped show that this arc is composed of two distorted images of an ordinary spiral galaxy that just happens to lie behind the cluster. Abell 370’s enormous gravitational influence warps the shape of spacetime around it, causing the light of background galaxies to spread out along multiple paths and appear both distorted and magnified. The effect can be seen as a series of streaks and arcs curving around the centre of the image. Massive galaxy clusters can therefore act like natural telescopes, giving astronomers a close-up view of the very distant galaxies behind the cluster — a glimpse of the Universe in its infancy, only a few hundred million years after the Big Bang. This image of Abell 370 was captured as part of the Frontier Fields programme, which used a whopping 630 hours of Hubble observing time, over 560 orbits of the Earth. 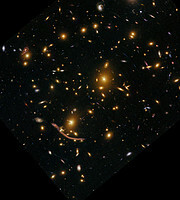 Six clusters of galaxies were imaged in exquisite detail, including Abell 370 which was the very last one to be finished. An earlier image of this object — using less observation time and therefore not recording such faint detail — was published in 2009. 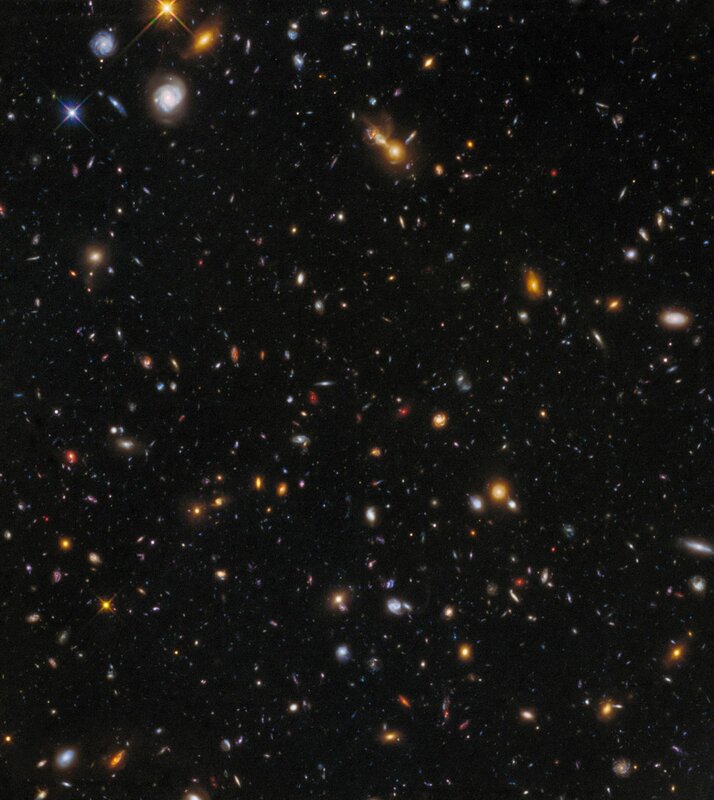 During the cluster observations, Hubble also looked at six “parallel fields”, regions near the galaxy clusters which were imaged with the same exposure times as the clusters themselves. 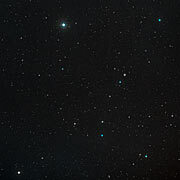 Each cluster and parallel field were imaged in infrared light by the Wide Field Camera 3 (WFC3), and in visible light by the Advanced Camera for Surveys (ACS). The Frontier Fields programme produced the deepest observations ever made of galaxy clusters and the magnified galaxies behind them. These observations are helping astronomers understand how stars and galaxies emerged out of the dark ages of the Universe, when space was dark, opaque, and filled with hydrogen. Studying massive galaxy clusters like Abell 370 also helps with measuring the distribution of normal matter and dark matter within such clusters [heic1506]. By studying its lensing properties, astronomers have determined that Abell 370 contains two large, separate clumps of dark matter, contributing to the evidence that this massive galaxy cluster is actually the result of two smaller clusters merging together. Now that the observations for the Frontier Fields programme are complete, astronomers can use the full dataset to explore the clusters, their gravitational lensing effects and the magnified galaxies from the early Universe in full detail. Galaxy clusters are the most massive structures in the Universe that are held together by gravity, generally thought to have formed when smaller groups of galaxies smashed into each other in ever-bigger cosmic collisions. Such clusters can contain up to 1000 galaxies, along with hot intergalactic gas that often shines brightly at X-ray wavelengths, all bound together primarily by the gravity of dark matter.